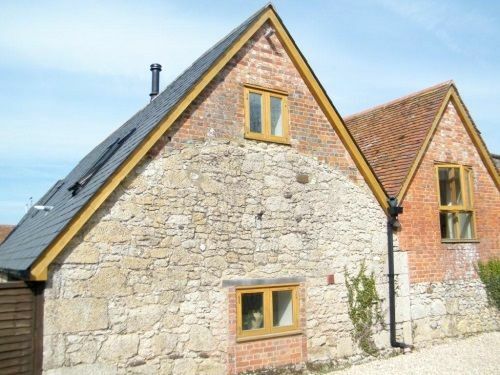 A former Shire horse farm on the Isle of Wight, this is a lovely barn conversion set in the hamlet of Chessell, right in the heart of the beautiful West Wight countryside. 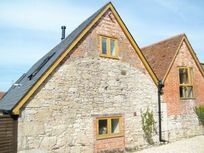 Nestled at the foot of Brook Down, the Old Stables is just minutes from the walking and cycling paradise of the famous Tennyson Trail over the Downs, and a mile from some of the Island’s most beautiful beaches. Situated in an Area of Outstanding Natural Beauty, and in a Dark Skies area, guests can delight in viewing the millions of stars revealed on a clear night, as well as enjoying the stunning surroundings during the daytime! 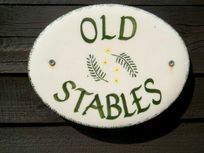 The Old Stables sleeps seven guests in four bedrooms. Fresh flowers and a delicious home baked cake are ready to greet guests on their arrival. This home from home is furnished to a four-star standard, complete with beautiful Emma Bridgewater crockery in the large open plan, spacious Italian style kitchen. 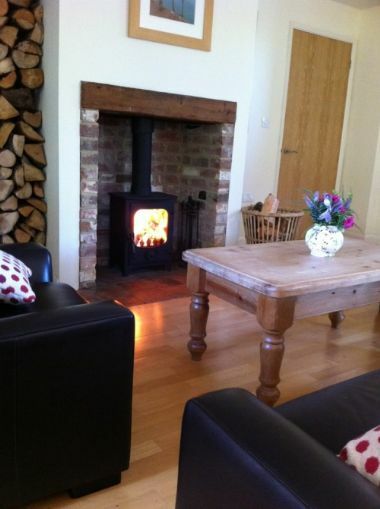 For guests visiting in the winter months, there is a delightful wood burning stove with logs provided, perfect for warming up after a bracing walk over the Downs. The cottage is wonderfully child friendly with a baby changing station, stair gates, cots and melamine crockery. The owners have also provided lots of toys, books and cars for children to play with. 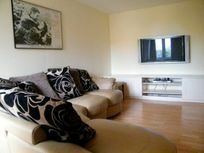 At one end of the open plan living area there are comfy leather sofas and armchairs but the 42” wall mounted plasma TV is in a separate ‘snug’, so parents can enjoy some peace and quiet or plug in the iPod, while children watch their favourites programmes or a family DVD. 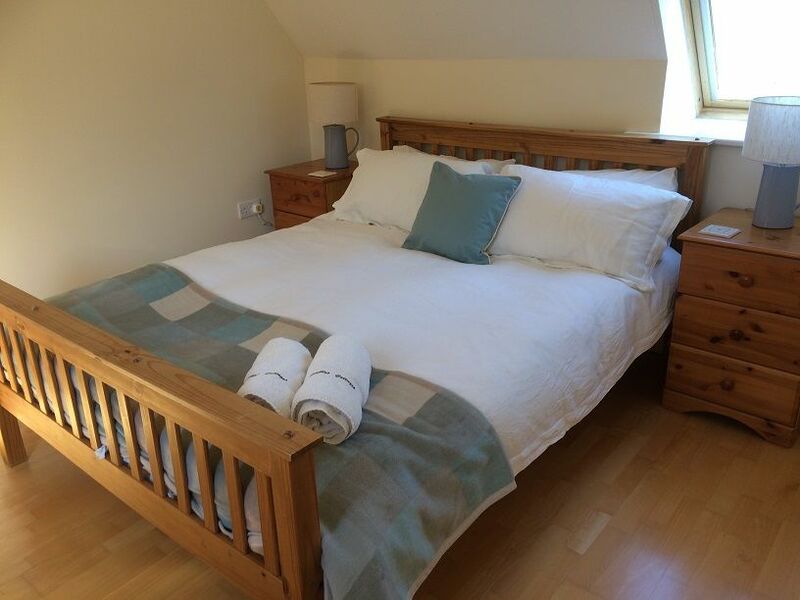 The Old Stables has one king sized bedroom, one twin and a single on the first floor, and a further king sized bedroom in a small, cosy separate wing of the house, accessed via a spiral staircase. There is also a further sitting area below this separate bedroom with TV/DVD. The cottage’s main living area is spacious and open plan, consisting of the kitchen and lounge, with log fired stove, and shelves containing an assortment of books for all ages and games. The Italian style kitchen is light and airy, with double doors opening out to the private, attractive courtyard areas on either side of the cottage. It is extremely well equipped with washing machine, dishwasher, tumble drier, microwave, large family sized fridge freezer, as well as a beautiful set of Emma Bridgewater crockery. The adjacent comfortable seating area has leather sofas and chairs. 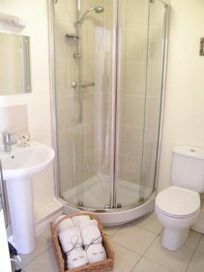 The cottage has an upstairs bathroom with shower over bath, as well as an additional ground floor WC with walk in power shower, all with bundles of fluffy white towels. Fresh, good quality, white cotton bed linen is provided for the grown ups and delightful child friendly bedding for the children’s rooms. The Old Stables has two private enclosed courtyard gardens with seating areas, one to the front and one to the rear, along with easy parking directly outside the front courtyard. 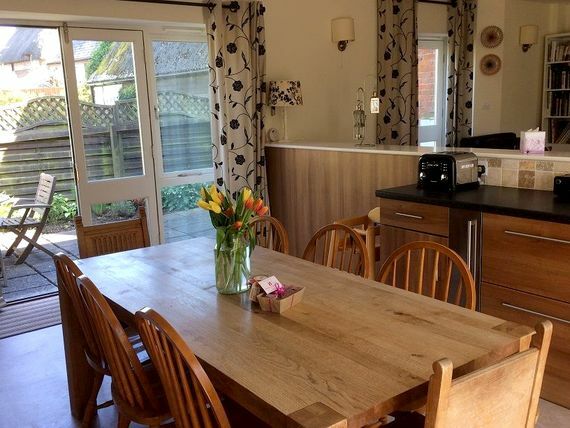 Within seconds, guests can access trails to the Downs and woodland areas. The Isle of Wight is one of the gems of England’s South Coast, less than 2 hours from London and a short ferry hop across from Portsmouth across the Solent. Little Stables is in the South West of the Island, 4 miles from Yarmouth and not far from the jagged white Needles rocks, but as the island is just 23 miles long and 13 miles wide, its many family attractions are never far away. 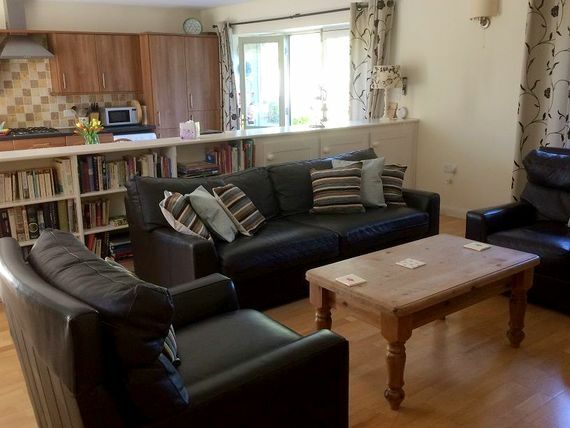 Yarmouth is the nearest town to Little Stables with a bustling, historic harbour that’s popular with the yachting fraternity, which means plenty of cafes, pubs and restaurants, plus interesting little shops and stores for essential provisions. Yarmouth also has a castle to explore and there are boat trips available from the harbour. Over half The Isle of Wight has been designated an Area of Outstanding Natural Beauty including the countryside surrounding Chessell so there are plenty of great walks from the doorstep to head off to with a picnic. Everyone can be a Chris Packham or Kate Humble too, keeping eyes peeled for special birds and wildlife including super cute red squirrels, long eared owls, woodpeckers and kingfishers – a red squirrel and kingfisher have even been spotted at Chessell’s own pond. Serious bird watchers can also stake out the RSPB bird hut at Newtown, (10 minutes drive) where a ranger is often on hand to point out species such as Shelduck, Oystercatcher and Black-headed Gull. Circling the Isle of Wight are 13 award-winning beaches plus lots more coves and bays to discover. Compton Bay is the closest stretch of sweeping sandy bay to The Little Stables (2 miles) and Brook Beach is one of the islands popular spots for fossil hunting. As the Isle of Wight is also known as ‘Dinosaur Island’, anyone could stumble across a strange footprint in the rocks at low tide or even discover prehistoric remains of an entirely new species! Dinosaurs are also one of the attractions at the world’s first family theme park, Blackgang Chine, which opened 170 years ago and still delights children with its eccentric mix of rides, goblins, fairies, nursery rhyme characters, cowboys and Indians. Other highlights for families around the island include the classic seaside attractions on Shanklin Seafront, the spectacular chairlifts at Needles Park, the rides and play areas at Robin Hill Adventure Park, Godshill Model Village and Carisbrooke Castle. Nearest Medical Services: Doctors at Brookside Health Centre, Freshwater, 2.8miles. St Mary’s Hospital A&E, approximately 9 miles away. Book your holiday before the end of May & receive a FREE ferry crossing (standard car plus 7 passengers, return). 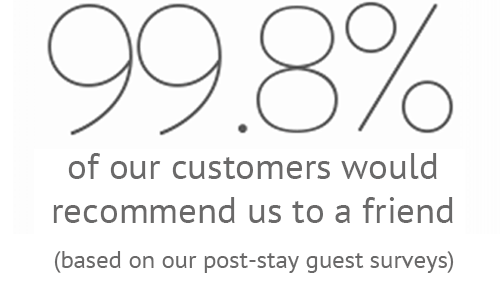 Valid on stays between May 1st - Sept. 30th 2018. Aiden and Louise Collins run the Pottery Cafe in London, where they have built up a family friendly pottery painting business for over 15 years. 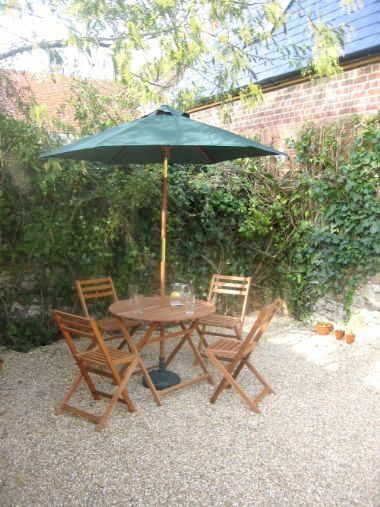 The cottages, and PO41 Coffee House in Yarmouth, is the Island based part of their family business. The stables cottages are beautifully converted barns which benefit from the facilities of the site where there is a family, dog and cyclist friendly Cafe and Pottery, and was converted with modern family living in mind. Aiden & Louise have 4 boys and live on the Isle of Wight. Sleeps 7 + cots in 2 x king size bedrooms, 1 x twin room and a single bedroom. Many of the Isle of Wight's best beaches are within a short drive. 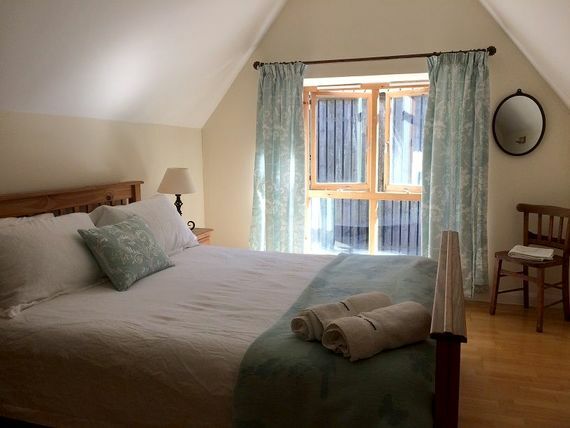 This baby-friendly cottage has handy nursery gear including: Cot (travel cots, two available), highchair, stair gate, potty, socket covers and a step up for bathroom basin. 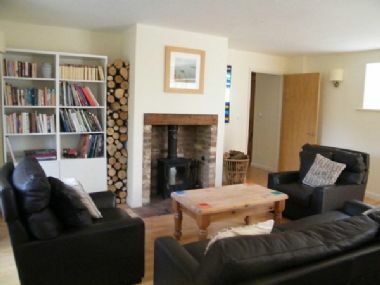 This child-friendly cottage offers a good selection of childrens books, toys and cars to play with. Pre-arrival shopping is available through a locally sourced grocers or through the main supermarket chains. 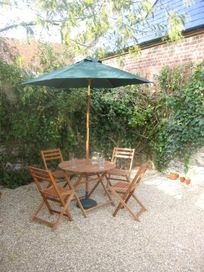 Enclosed outdoor space in a courtyard each side of the property, with seating area and small patio (locks to gate). The owners have strong eco values using eco friendly cleaners, recycling and waste disposal. We had a wonderful stay here - a great, roomy cottage with lots of provision for children and friendly owners too. Would definitely recommend. Fantastic holiday everything we needed for a baby and toddler. 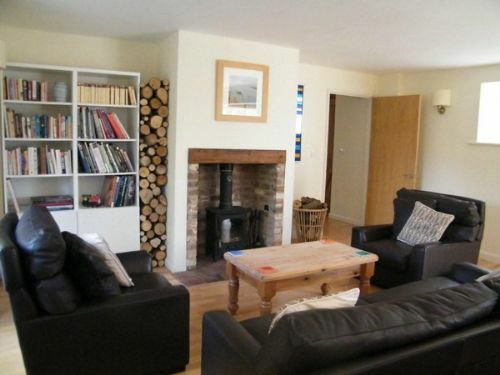 The cottage was really spacious plenty of space for two families. 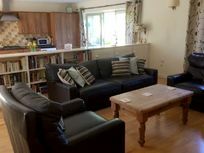 Great location with beaches and lots of things for kids to do close by. Beautiful property spacious and well equipped. Owners and Chessell pottery and cafe staff all very welcoming and helpful.